After almost two years at RIM, I am pleased to announce that I have taken on a new role as Director of Intellectual Property Policy at Microsoft. As my new title suggests, my work at Microsoft does not include telecom and broadcasting regulation - it is focused on IP Policy issues. Therefore, I do not expect that I will be updating the Caribbean Communications Law and Regulation blog in the near future. 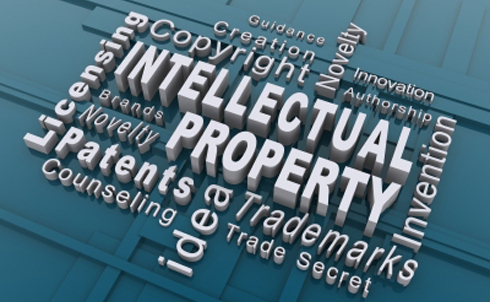 Instead, I have decided to start a new blog focused on Caribbean IP issues. I sincerely believe that the development of a modern IP legislative framework in the Caribbean is an important building block to promote economic growth and prosperity in the region. I am hoping that this blog will play a small role to stimulate the discussion within the Caribbean IP and policymaking community. Please have a look at this new blog here. I am pleased to announce that, effective January 4th, 2011, I have taken on the role of Public Policy Counsel at Research in Motion in Waterloo, Canada. 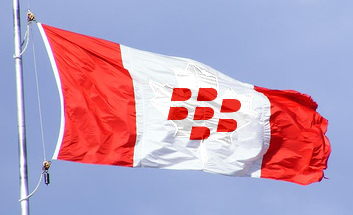 I am now part of the RIM Legal Department and my work is focused on global regulatory and public policy matters. Since my work is no longer centered on the Caribbean, I do not expect to update this blog on a regular basis. I hope that you found it to be helpful. If you have any question, please don't hesitate to contact me at dlaliberte@rim.com. Television and Radio Broadcasting Services: ECTEL proposes to modify some of the frequencies allocated to broadcasters including 1605-1705 kHz (AM radio stations), 88.1-88.9 (low-power FM community radio stations), 235-267 MHz (digital audio broadcast services), 335 MHz-399 MHz (studio-to-transmitter links), 454.975-462.5625 MHz and 467.7125-470 MHz (outside broadcast television and radio). GSM Services: The consultation document proposes to allocate the 912-915 MHz band to GSM service in Dominica. This proposal may prove to be problematic as this band is currently allocated to ISM by the ITU-T in Region 2 countries, which includes Dominica. ECTEL also proposes to allocate, in all ECTEL countries, the 1710-1990 MHz band to GSM service and the 1990-2025 MHz band to "future Mobile Services; eg 3G mobile services". Broadband Services: While the wording of the consultation document is somewhat unclear, it appears that ECTEL intends to allocate the 3.4-3.6 GHz band to fixed WiMax service and the 2.3-2.4 GHz band to mobile WiMax service. There would be provision for licences to be awarded to four providers with 25 MHz each (5 blocks of 5 MHz each), plus one operator with 22 MHz (3 blocks of 5 MHz each, and one block of 7 MHz), in each band. In addition, 120 MHz of spectrum would be made available in the 2.5 GHz band. This spectrum would be assigned to a maximum of four operators (2 blocks of 15 MHz each) on a technology-neutral basis as this band can be used for WiMAX, IMT 2000 and MMDS service. Land Mobile Services: ECTEL is proposing to allocate the 148-174 MHz band to VHF land mobile band (with 156-163 MHz allocated for maritime mobile use) in order to facilitate the implementation of a nationwide/regional public-private network for emergency, Government, Police, etc. In their respective submissions, Digicel and LIME requested that ECTEL modify these proposals in order to accommodate the spectrum requirements of products they intend to offer in the Eastern Caribbean in the near future (and which they currently offer in Jamaica). Digicel's submission disagreed with ECTEL's proposal to limit the assignments to 30 MHz per operator within the 2.5 GHz band. According to Digicel, this is an insufficient allocation of spectrum given the volume of traffic that is expected to be generated by WiMax services. Instead, it suggested that the available 120 MHz of spectrum be assigned to a maximum of two operators (4 blocks of 15 MHz each). This suggestion was presumably an attempt by Digicel to harmonize the WiMax spectrum allocation in the Eastern Caribbean with its own WiMax licence in Jamaica. LIME's submission was more focused on mobile television services. It requested that ECTEL clarify which of the frequencies set aside for broadcasting services would encompass mobile television service. In addition, LIME requested that the UHF band (470-862 MHz) be made available for mobile TV services. Again, LIME's arguments appeared to be an attempt to harmonize the frequency allocations in the Eastern Caribbean with its own mobile television licence in Jamaica. Last week, the Conseil National des Télécommunications (CONATEL), the telecommunications regulator in Haiti, adopted new guidelines for the interconnection of telecommunication networks. These guidelines provide detailed information on the procedure to be followed by new operators seeking to interconnect with existing operators, the content of interconnection agreements and the role of CONATEL in resolving interconnection disputes. To my knowledge, these are the first interconnection guidelines issued by CONATEL since the Haitian telecommunications market was opened to competition in 1999. Under their current licences, the operators are required to negotiate interconnection agreements, but little regulatory guidance is provided for the negotiation of these agreements (see, for example, art. 11 of the Teleco licence). Whilst the operators have done their best over the past few years to negotiate interconnection agreements, the rights and responsibilities of each party (and of CONATEL) were not clearly specified under Haitian law. It is not surprising, therefore, that Haiti has faced several interconnection disputes over the past decade. In the summer of 2006, for example, Le Nouvelliste reported that Digicel was refusing to sign the interconnection agreement previously signed by Comcel et Haitel. This dispute was eventually resolved, in September 2006, when Digicel, HaiTel and Comcel signed interconnection agreements. Later, in October 2007, the incumbent fixed-line provider, Teleco (recently purchased by Viettel, the largest Vietnamese telecom operator) ceased all interconnection with Haitel due to non-payment of interconnection fees. This dispute was later resolved, following a ruling of the Haitian courts. 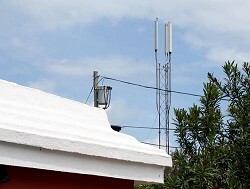 Interconnection disputes will continue to be a fact of life in the Haitian telecommunications market, despite the adoption of these guidelines. However, the adoption of these guidelines will clarify the rights and obligations of the parties. This, in turn will make Haiti a more attractive and predictable market for investors wishing to enter the telecommunications market. On Friday, the Bermuda Sun reported that Digicel has launched a court challenge of a decision of the Bermuda Department of Planning, which denied Digicel's request for retroactive approval of a 35ft cellular tower. According to the Sun's article, the Department determined in 2009 that a 23ft pole had been erected by Digicel on Knapton Hill, Smith’s, with the agreement of the landowner, but without the prior approval of the Department. A retroactive application was subsequently submitted, but then withdrawn after Digicel realized that this property is not zoned for trade or business. A few months later, in February 2010, Digicel was ordered to remove the tower. Instead of complying with this order, Digicel replaced the 23 ft tower with a 35 ft one. In March 2010, Compu-Cad Ltd filed a retroactive application on behalf of Digicel to retain the structure. This request was denied on the basis it was contrary to the zoning order and had an “adverse visual impact” on neighbouring property. The board also noted that Digicel had shown “a blatant disregard for the planning process”. Digicel then appealed the decision to the Minister responsible for Planning, Glenn Blakeney, who dismissed the appeal at the beginning of September. The Department of Planning has now ordered Digicel to remove the tower by the end of this week. If Digicel does not comply with this order, the Department could decide to take enforcement action in the Supreme Court of Bermuda. Instead of waiting for this enforcement action, Digicel has decided to launch proceedings in the Supreme Court of Bermuda to challenge the denial of its planning application. The Sun's article does not specify the legal arguments that Digicel intends to make before the Supreme Court. Therefore, it is difficult for me to comment on Digicel's chances of success. In other jurisdictions, however, it is quite common for telecom operators to encounter opposition to the construction of cellular towers and masts. Digicel has been involved in similar proceedings in several jurisdictions. In December 2003, for instance, an interim injunction was issued (and subsequently rescinded) by the Jamaica Supreme Court to stop the construction of a cell site in Saint Andrew, Jamaica. More recently, Digicel was deemed by the chiefs on the island of Pentecost (Vanuatu, South Pacific) to have damaged an historical site when building a cellular tower. Digicel was sanctioned with the highest penalty the chiefs can impose for wrongdoing: 10 tusked pigs! The post Congresswoman Barbara Lee Slams President Trump’s Backwards Policy towards Cuba appeared first on South Florida Caribbean News. The post Education and the UN in Jamaica and the Caribbean appeared first on South Florida Caribbean News. The post 5 important tips to choosing the neck and back pain mattress appeared first on South Florida Caribbean News. The post The Queen of Reggae Releases a Classic Single – What Kind of World appeared first on South Florida Caribbean News. The post Letter to the Editor: Florida Senate Passes Bill SB7030 to Arm Teachers appeared first on South Florida Caribbean News. The post Joel & Mushy Widmaier to Perform at Haitian Heritage Month Celebration in Miramar appeared first on South Florida Caribbean News. The post Bahamas based TV Show Producers looking for Bahamians in South Florida and the Caribbean appeared first on South Florida Caribbean News. Dare To Be Great TV Show host Spence Finlayson with special guest Weekend News Anchor WPLG in South Florida, Neki Mohan. The post Dare To Be Great TV Show with Neki Mohan appeared first on South Florida Caribbean News. The post Reggae Sumfest 2019 Launched In New York City appeared first on South Florida Caribbean News. The post Young Professional Group in Miami Screens Paris to Pittsburgh Documentary appeared first on South Florida Caribbean News.